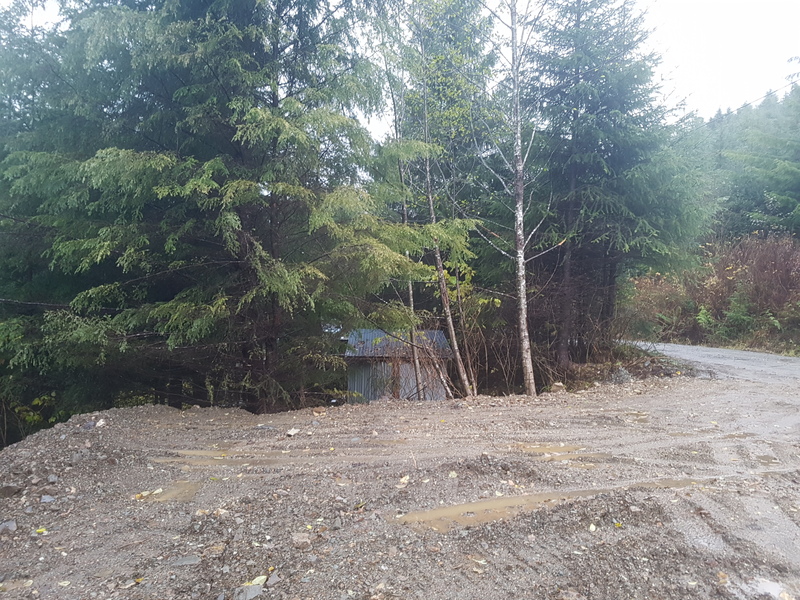 One of my major on-going projects since coming here to Alaska has been to assist my uncle in taking the initial steps to “improve” (read “develop” and make buildable) the adjacent lot to the west, which he also owns. Foremost was the need to build a driveway down the slope toward the water. 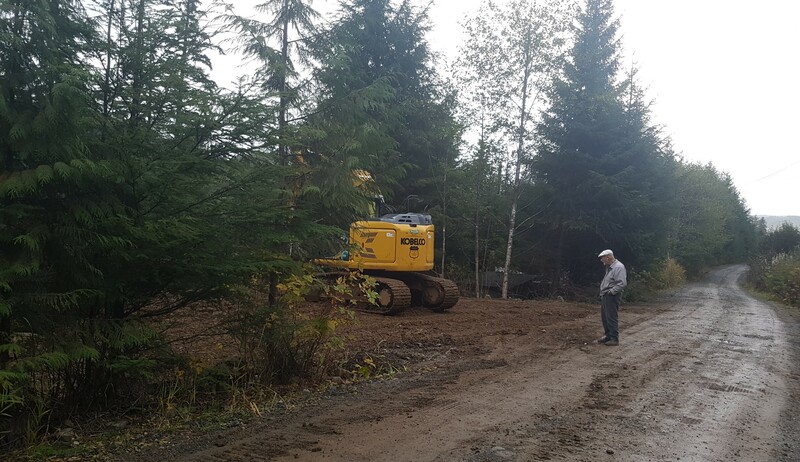 This was, in fact, the project Arthur was working on when he had his accident – he was trying to survey the western property line so that Richard (the excavator operator) would have some guidance when he came in with his big machinery to cut the driveway. So when Arthur and I first got up here, we finished that job. Then Richard came out, starting in September, and cut the driveway. Arthur liked to grumble that Richard was destroying too many trees, but I think his complaints were with the understanding that in the given topography and the limitations of the plan and intention, there wasn’t much alternative in how he had to go forward. 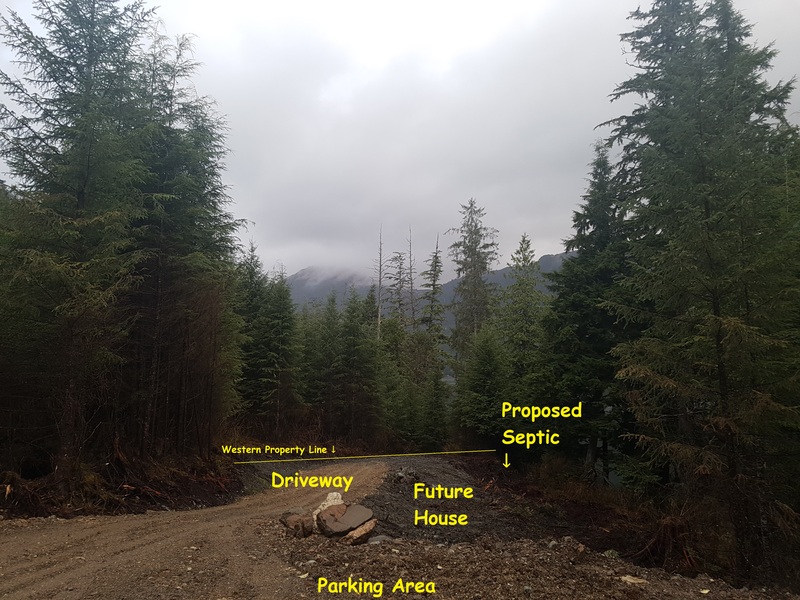 The next step is to get approval for the septic system, since that would have to precede any house construction, obviously. So I have been working on that. I completed a sketch-draft this morning, after thinking through the most reasonable place for where a house might go, talking it through (and through and through, ad infinitum) with Arthur and Richard. 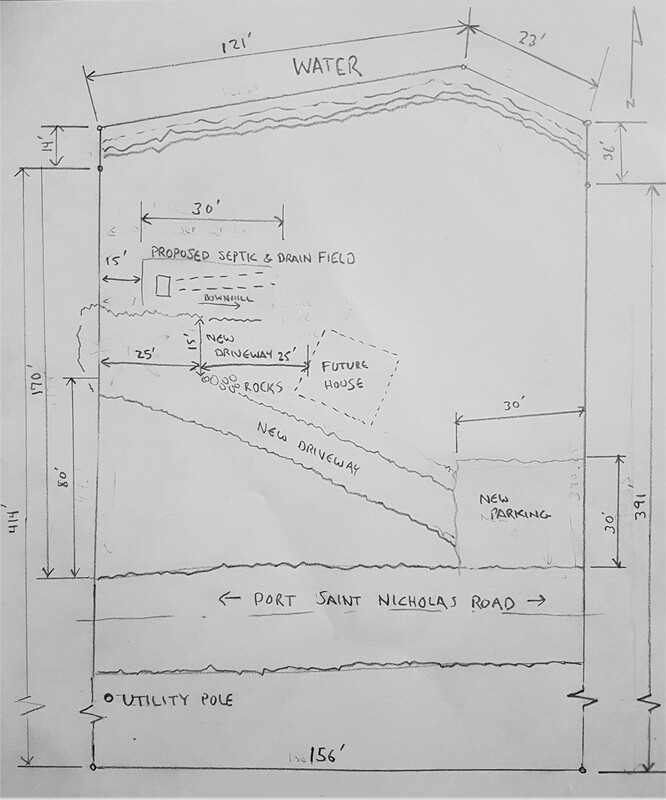 Here are some pictures and my rough sketch plan. Hopefully well get the engineer to begin the formal application process for the septic system if this passes muster. Here is the lot plan. It’s very rough – it’s not a design drawing, but rather a suggestion to the engineer, to make clear our intentions. 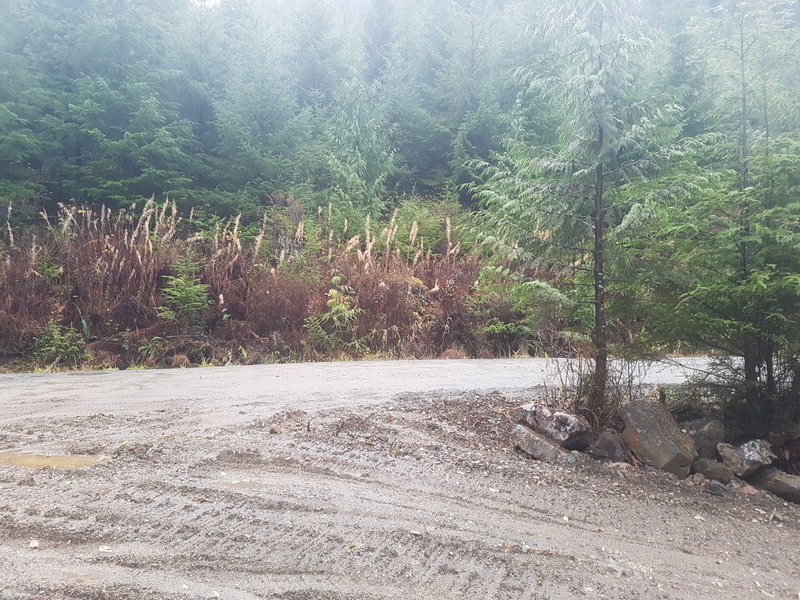 I also prepared this photo with annotations, looking down the new driveway. Here is a view toward Arthur’s water shed (on adjacent lot 74 to the east). Here a view from the new parking area onto the expressway (Port Saint Nicholas Road). Here is Arthur, supervising (observing) the excavator.